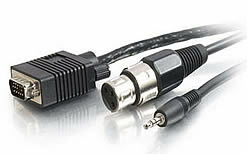 Use with a PC Runner for projectors, microphones and any display requiring an HD15, 3.5mm audio and XLR balanced audio connection. 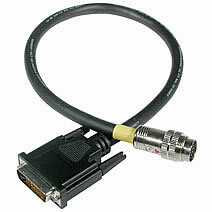 Ideal for use with computers, projectors, and any display supporting an M1 (EVC) connection. 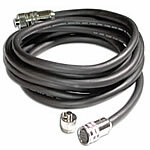 Ideal for use with computers, projectors, and any display requiring a 5-BNC connection. Use this flying lead in custom patch panels where space is limited. 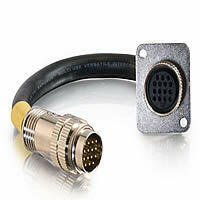 The connector fits into a standard XLR connector punchout on a floor box or patch panel. CL2-rated. 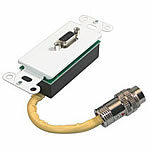 Use for installations requiring a panel-mount HD15 female connector such as a pass-through wall plate or floor box. Use this flying lead when a panel-mount HD15 female (RGBHV) connector is needed to connect to a pass-through wall plate or floor box, etc. Whether hanging a projector in a classroom or installing a commercial digital signage system, a clean, crisp signal will be delivered every time.Terminate with flying leads (with lengths up to 10 feet), or with wall plates (available in three colors) to meet the specific requirements of your installation.